After searching for a while, I found some reader cycling specific sunglasses. My first pair were actually Dewalt safety glasses. They worked well enough, but I wanted more flexibility with lenses. Then I found Dual Eye Wear. They specialized in cycling specific reader sunglasses. They have a wide range of frames and a fair number of lenses to pick from. They worked quite well for a while, but I wasn’t really happy with the construction. They seemed kind of fragile. That said, I did get some glasses from them. I started out with a pair that seemed OK, but ended up being a tiny bit too large for my face. I purchased a lightly smaller pair, that came with photo-chromatic polarized lenses. I also purchased some plain yellow lenses for low light riding. I was always on the lookout for glasses that were sturdier. I ended up finding a pair of Tifosi reader sunglasses at a local bike shop that fit that bill. They were quite sturdy, had a dark tint, and were the right power for me. They also weren’t very expensive. I’ve worn those for quite a while… although I sometimes wear the Dual Eyewear glasses if the light is about to change (because they are photo-chromatic). I considered looking at other lenses for the Tifosi glasses, but wasn’t super happy with the selection. The only big issue with the reader sunglasses is that I HAD to wear contact lenses with them. This wasn’t a big deal when I wore extended wear contact lenses (which I could wear for a day, clean, and wear again for up to 14 days). Because I only wore the contact lenses when I was riding (mostly), I was able to make the contacts last much longer than 14 days (sometimes up to 2 months). I mentioned this to my optometrist and she said it wasn’t a good idea to wear them so long, even with cleaning them. She suggested I try daily wear disposable contact lenses. I would wear those for one day and then throw them away. The daily wear contacts worked well, except that if I wanted to go riding when I got home from work, I would have to use a pair of contacts for 2-3 hours and then throw them away. So I decided to investigate prescription cycling sunglasses. There are a number of companies that make them, but only a handful of them had local dealers. When it comes to glasses, I always want to deal with a local optical shop so I can go back if there’s an issue. My friend Bill Nedza, who is a very experienced cyclist, recommended I look into Rudy Project sunglasses. I did and found an optical shop in Palatine that was a dealer. The glasses I got were not by any means cheap … but I got a discount through the vision insurance from work, and was able to pay for them using my FSA account. I’m extremely pleased with the Rudy Project sunglasses. Although they are a bit front heavy, they are really nice. I got photo-chromatic lenses and the prescription insert is easy to install & remove. When I want to go on a quick spin in the area, they are the glasses I wear. 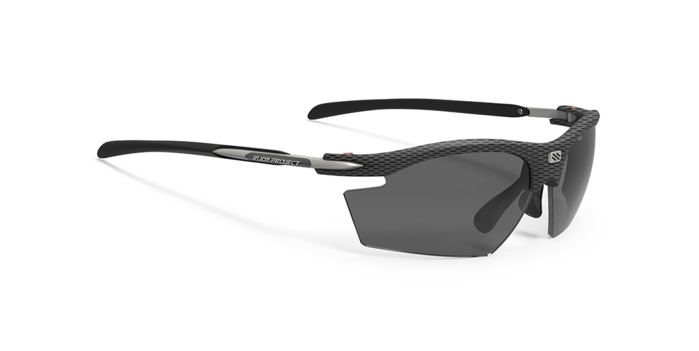 When I’m doing a long ride, I will wear contacts and the Tifosi reader sunglasses. I also got some extra lenses for the Rudy Project glasses: Yellow plain and dark readers. This way I can wear them even with contacts in. The really nice thing about the Rudy Project glasses is that I can get the prescription changed by having the insert replaced, or I can get another compatible pair of sunglasses and just install the prescription insert. My eyewear prescription may be on the verge of not being compatible with the insert … so I’ll have to keep an eye on that. Right now I’ve got 7 different pairs of glasses / sunglasses. My everyday glasses, a pair of prescription sunglasses for the car (because my normal glasses, although photo-chromatic, won’t darken in the car because the UV light is blocked by the glass of the windshield), my original DeWalt safety sunglasses (which I don’t really use anymore), the Dual Eyewear sunglasses (Ginny wears my old pair, which fit her quite well), the Tifosi readers, and my Rudy Project glasses. I’m not even counting the various lenses that I have for each of them.